What does it mean and what a community can do to attract investments? 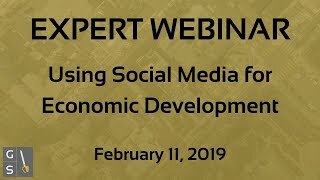 Opportunity Zone’s have been the talk of the Economic Development world throughout 2018, most of the conversation to date has been targeted directly at private-sector investors and how individual corporations can utilize the program to meet their tax goals. Springsted’s Housing and Economic Development (HED) clients come only from the public and non-profit sectors. 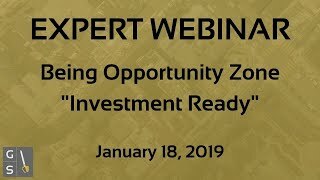 During this Opportunity Zone Webinar, the focus is what local development leaders can do to become “Investment Ready” and how to encourage projects that meet their community’s goals in 2019 and beyond. Workforce attraction is crucial in economic development - without the workforce and enough potential employees - your business attraction can suffer. 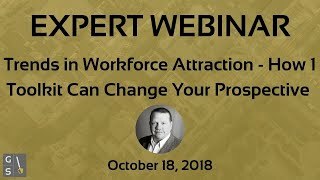 What does workforce attraction actually mean? 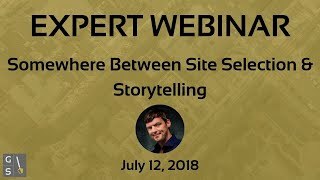 What are companies actually looking for here when deciding where to locate? And more importantly, how do you even find this potential workforce? It all starts with understanding the trends in the current workforce system -- how many people use just their phones to apply for jobs? What is the actual unemployment number and what does that mean? 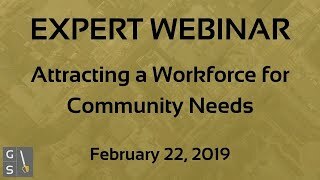 In this cutting edge webinar we discussed these trends and showed the audience how to use and build your own toolkit for workforce attraction. Economic development organizations face hard choices. To encourage investment and job growth, they must make certain decisions. They cannot be all things to all people. To a large degree, an EDO must bet on certain aspects of a community to be effective. Knowing how to tell the story to match the changing trends is even more important.